Asbestos is a naturally occurring mineral, but different from other naturally occurring minerals in that it is a crystal and composed of long thin fibers. Asbestos is classified into two groups: Serpentine and Amphibole. Chrysotile asbestos is the most commonly known type in the Serpentine group and it was the most widely used commercially. Chrysotile asbestos is classified as a sheet silicate, which means it forms flat sheets of long, thin fibers. 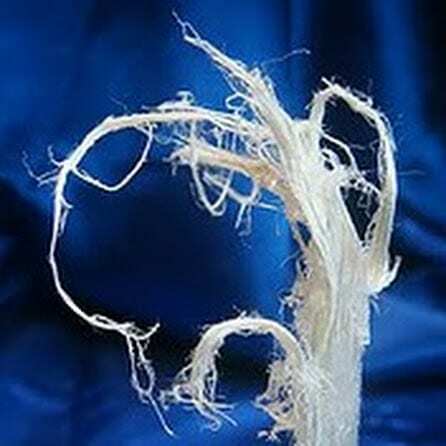 Chrysotile is more easily woven into cloth than other types of asbestos. The Amphibole group has 5 types of asbestos: Amosite, Crocidolite, Tremolite, Actinolite, and Anthophyllite. The most common Amphibole asbestos types are Amosite (brown asbestos) and Crocidolite (blue asbestos). Tremolite, Actinolite, and Anthophyllite are rare. Asbestos types in the Amphibole group are classified as chain silicates, which means they have a chain-like structure of fibers. Amosite is actually an acronym for Asbestos Mines of South Africa. Medical studies suggest that Amosite and Crocidolite are more dangerous when inhaled than Chrysotile. Asbestos is an indestructible material and because of its versatility, has been put to many uses over the years, such as bricks, pipe coverings, brake linings, ceiling tiles, floor tiles, fire-resistant work clothes, as an insulator or fire retardant, or as a binder.